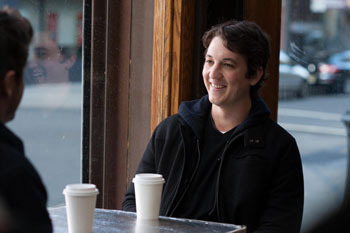 If you don’t know the name Miles Teller by now, that’s about to change. Teller, who is Jewish on his father’s (father’s) side, and Christian on his mother’s side, is a rising star with several high-profile projects awaiting release. Previously seen in Project X and The Spectacular Now, he’s starring in That Awkward Moment with Zac Efron and Michael B. Jordan, a comedy opening January 31 about three friends and their respective relationship misadventures. Coincidentally, Efron has the same interfaith heritage as Teller: His grandfather on his father’s side was Jewish. Teller won raves as a young jazz drummer in the Sundance Film Festival favorite Whiplash, and later this year, he’ll be seen in Two Night Stand, a romantic comedy about a couple’s one-night stand that goes badly but gets extended because of a snowstorm. But first, on March 21, he’ll star opposite Shailene Woodley (they also co-starred in The Spectacular Now) in Divergent, based on the popular teen novel set in a future dystopian world, the first of a planned series of film adaptations. 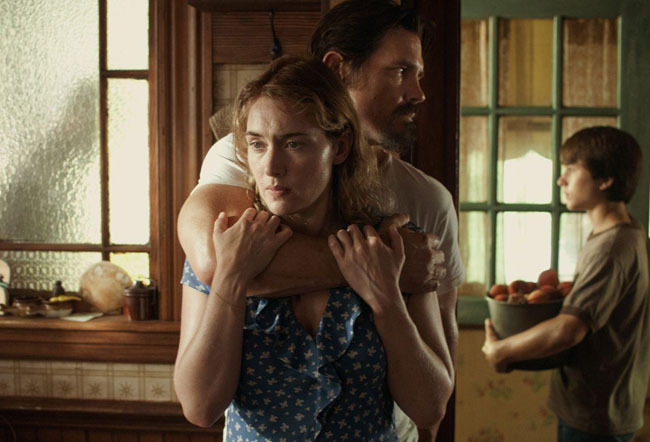 For his follow-up to the acclaimed Juno and Up in the Air, director Jason Reitman explores romantic drama in Labor Day, starring Kate Winslet and Josh Brolin in the story of a depressed single mother and the escaped convict she shelters, opening January 31. Reitman’s father is director Ivan Reitman (Ghostbusters), who was born in Czechoslovakia to Jewish parents who survived the Holocaust. His mother, of Christian French-Canadian heritage, converted to Judaism. Brolin has interfaith connection by marriage: His father, actor James Brolin, is married to Barbra Streisand. Labor Day is based on a book by Joyce Maynard, whose parents were in an interfaith marriage. Jessalyn Gilsig (Glee) is touching as a floundering woman who walks away from her life and marriage and forges a relationship with a young drifter (Graham Patrick Martin) while on a road trip of self-discovery in Somewhere Slow, opening in limited release January 31. Gilsig, who is Jewish on her father’s side, married Bobby Salomon in a Jewish ceremony nine years ago, but they’ve since divorced. A producer on the film, she’ll return as Siggy Haraldson in the second season of Vikings, premiering on the History Channel February 27.